David Hubbard | Total Clarity Wealth Management, Inc.
As President of Exemplar Financial Network, David Hubbard’s leadership stems from his core principals of community, integrity, responsibility and loyalty. Following graduation from high school, Dave attended the United States Military Academy at West Point for two years and then attended Northern Illinois University. Dave entered into the financial services business in 1980, following the footsteps of his father, Bill Hubbard, selling insurance. However, Dave quickly discovered his clients needed a more comprehensive advisor that would assist them through every aspect of their financial lives to pursue their dreams for the future. After listening to the people that relied on Dave for financial advice he began what is over 30 years later, a thriving financial planning practice. Exemplar Financial Network has helped clients attain experienced, professional financial advice, with offices in Crystal Lake, Westmont and Walworth Wisconsin. 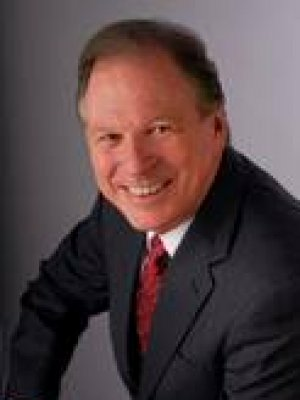 Dave has assisted hundreds of financial advisors to establish and grow their practices. Additionally, he has worked with numerous banks, accounting firms and insurance agencies to successfully provide financial planning and investment advisory services to their clients. While a member of the Financial Planning Association (FPA), Dave completed numerous courses with the American College and the College for Financial Planning in regards to financial planning. He is co-founder and President of the CPE Club, an organization licensed by the State of Illinois to provide continuing education for Certified Public Accountants. He has also hosted a weekly radio show entitled “Money Talks” and has co-authored a financial planning column for the Northwest Herald newspaper. A lifelong resident of Crystal Lake, Dave is the father of six children and grandfather to four. While his children were growing up, he was very involved with their activities and served in leadership positions for their sports, scouting and YMCA Indian Princess and Guides programs. Dave is a student of history and when he is not working hard for his clients and representatives or working on building a stronger community you will find him enjoying a great history book or relishing the company of his large, loving family.